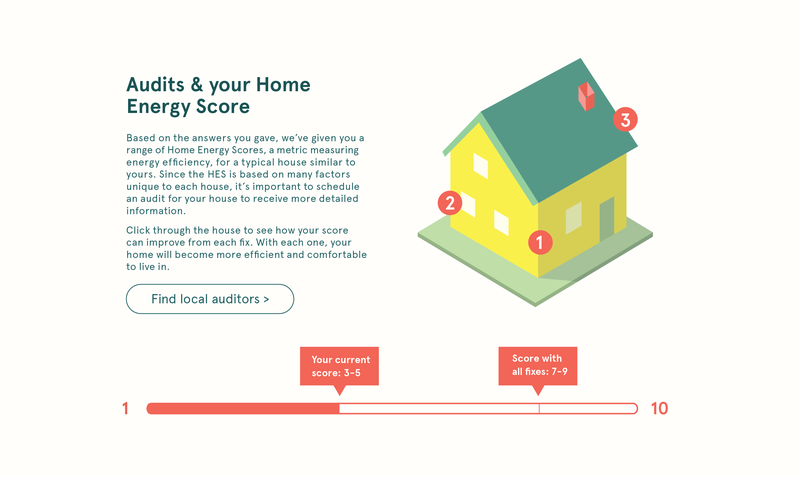 How do you get homeowners interested in improving their home energy efficiency — and more importantly, to take action? 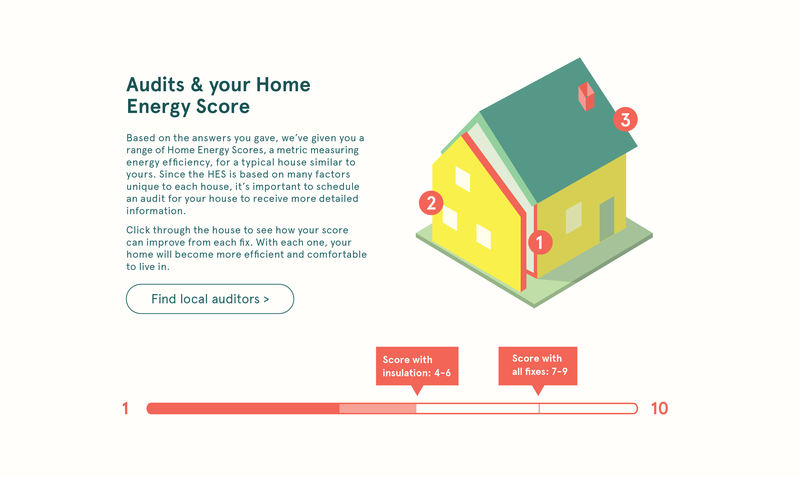 I worked with a client, Tim Carryer, as part of a project for my Communication Design studio to develop solutions to inform homeowners and get them to take steps to improve their home efficiency by getting a Home Energy audit. 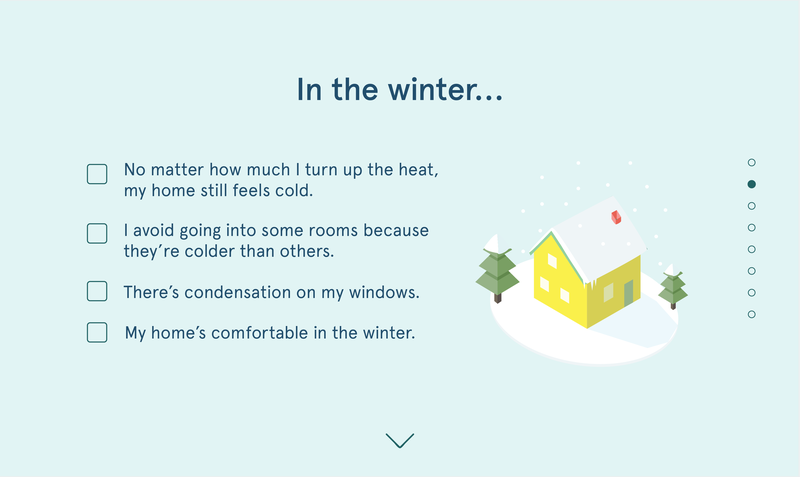 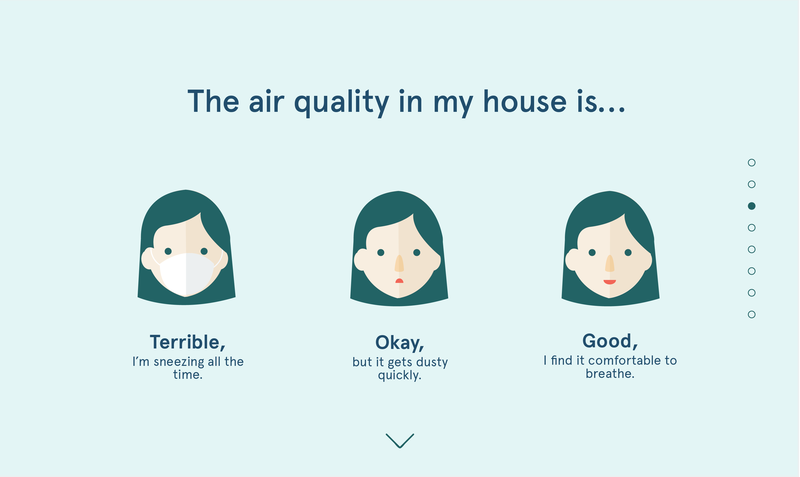 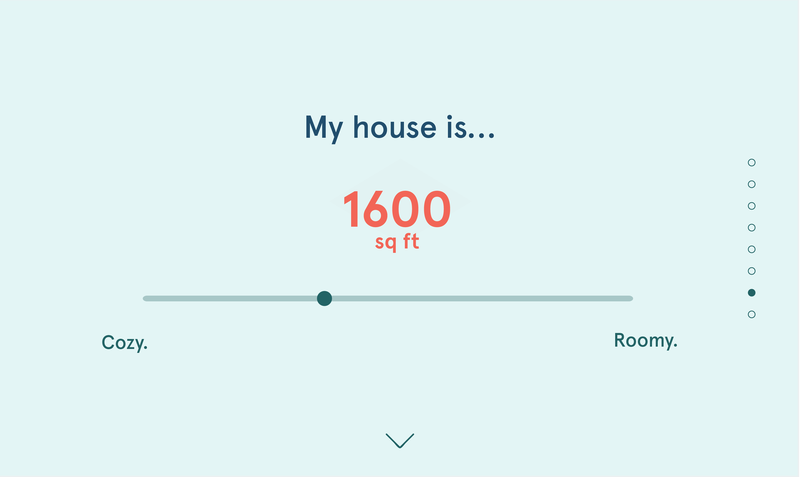 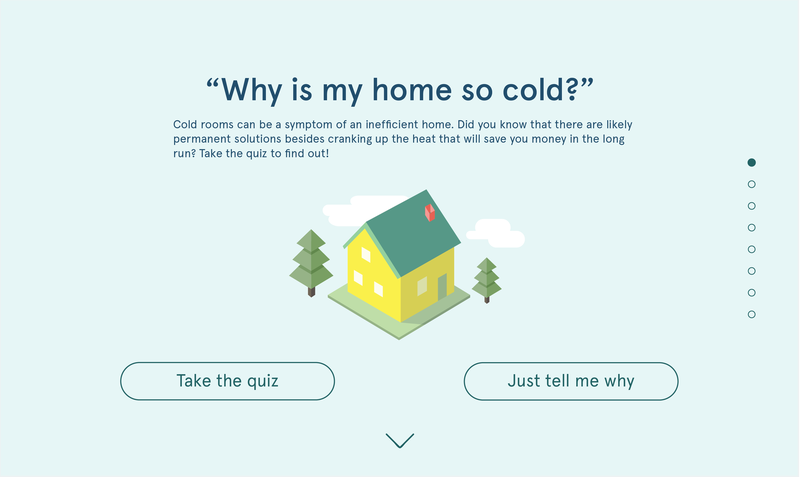 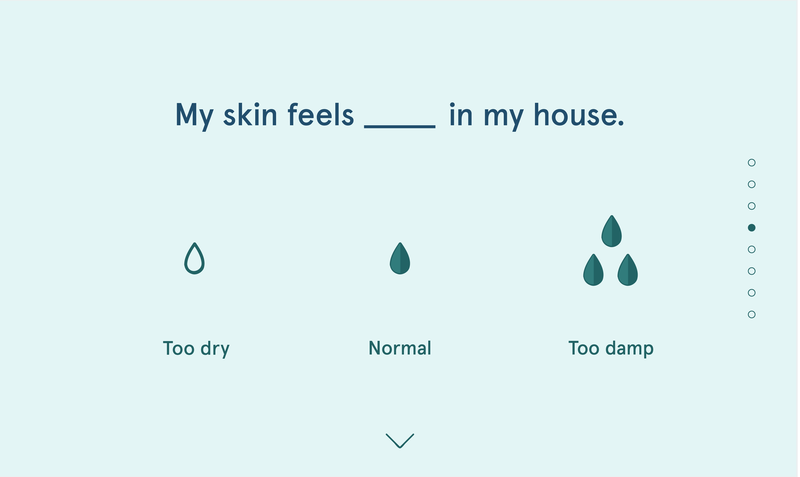 I chose to create an online quiz because it's a fun, quick, and painless way to learn about how home comfort is directly connected to home energy efficiency, and also is shareable and linkable to a form to schedule an actual audit. 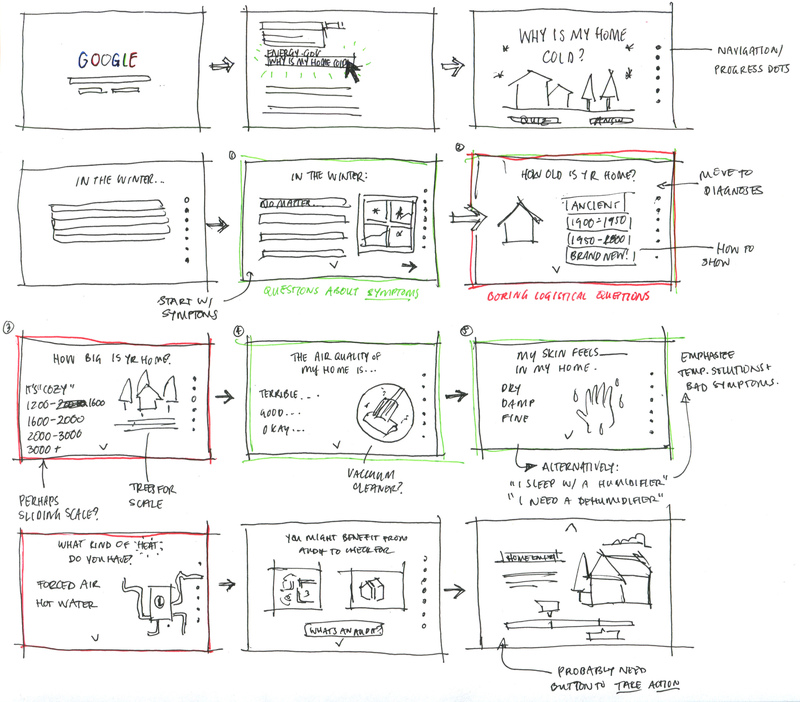 Tim gave no restrictions in regard to medium, so I began by deciding on a communication strategy to inform possible mediums. 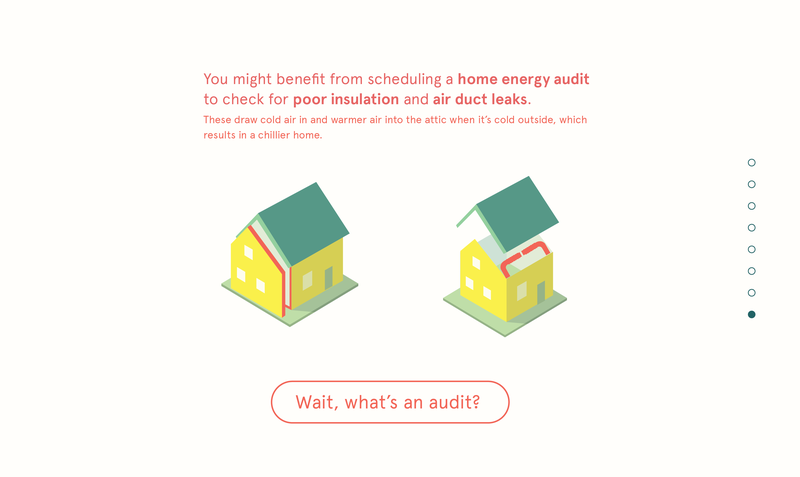 From reading reports on homeowners' sentiments about energy audits and speaking with homeowners, I found that many homeowners perceive energy efficiency as daunting, expensive, confusing, and most of all, boring. 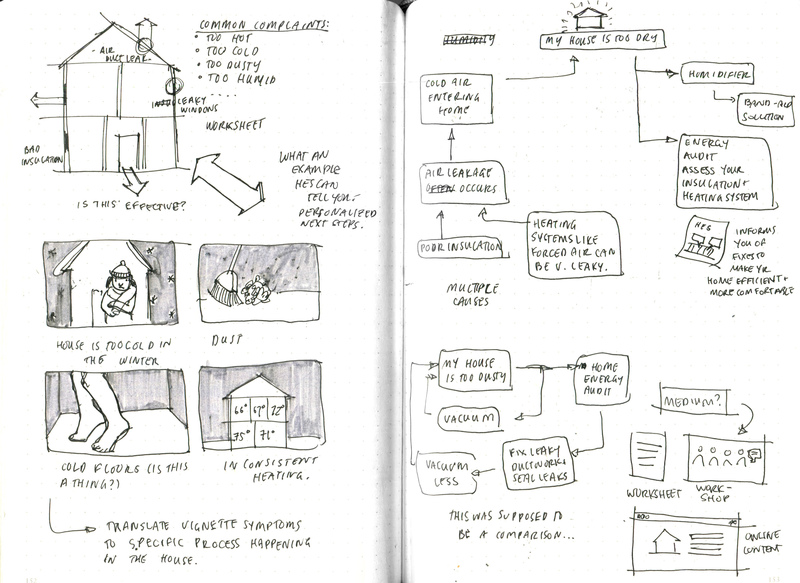 With everything else going on in their lives, they don't want to spend time learning about it. 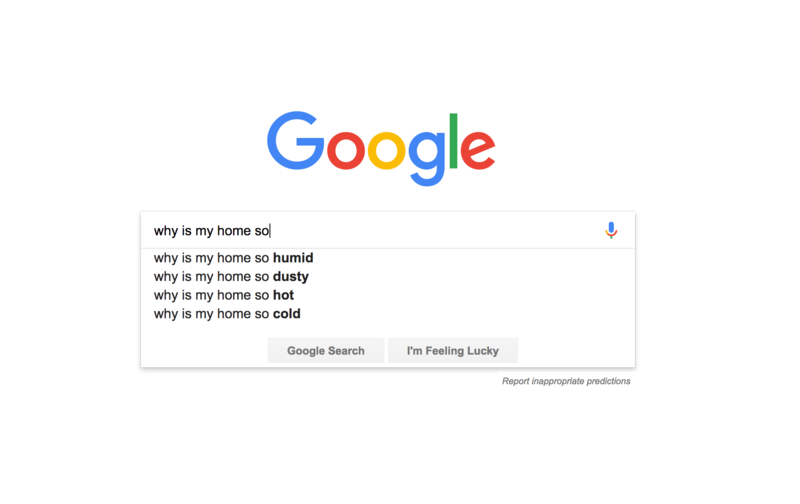 They also aren’t motivated enough to spend money and effort to make their homes more efficient even though they understand that it can save them money in the long run. 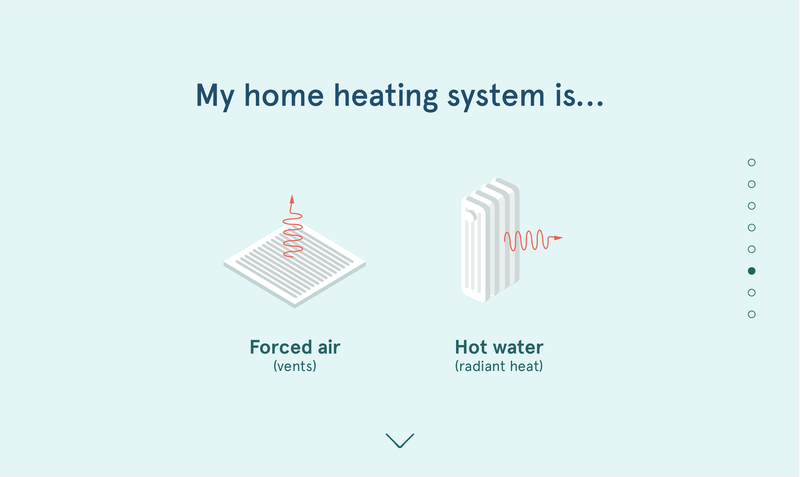 I chose the idea of home comfort as a series of diagnostic symptoms to approach a homeowner with, instead of addressing energy efficiency from the beginning, since there are tangible issues (symptoms) that can be resolved by sealing a home to be more energy efficient. 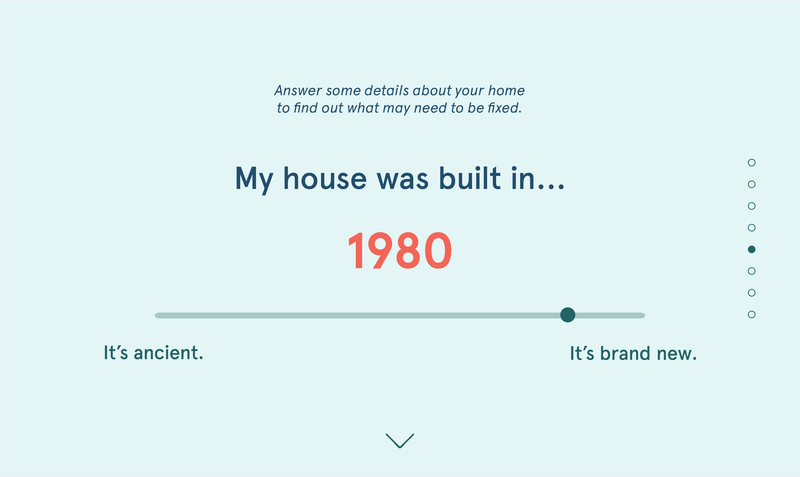 Tim says that best way to get homeowners to take action is to listen to their experiences in their own homes to begin a dialogue, and I noticed that the top google search suggestions for "why is my home..." or "why does my house feel..." were all related to issues of comfort that people experience, so keeping these channels in mind, I decided to make a quiz that could be featured in the results of searches like this.